A proposal for 120 new homes in a village bordering Lincoln has been received by North Kesteven District Council. 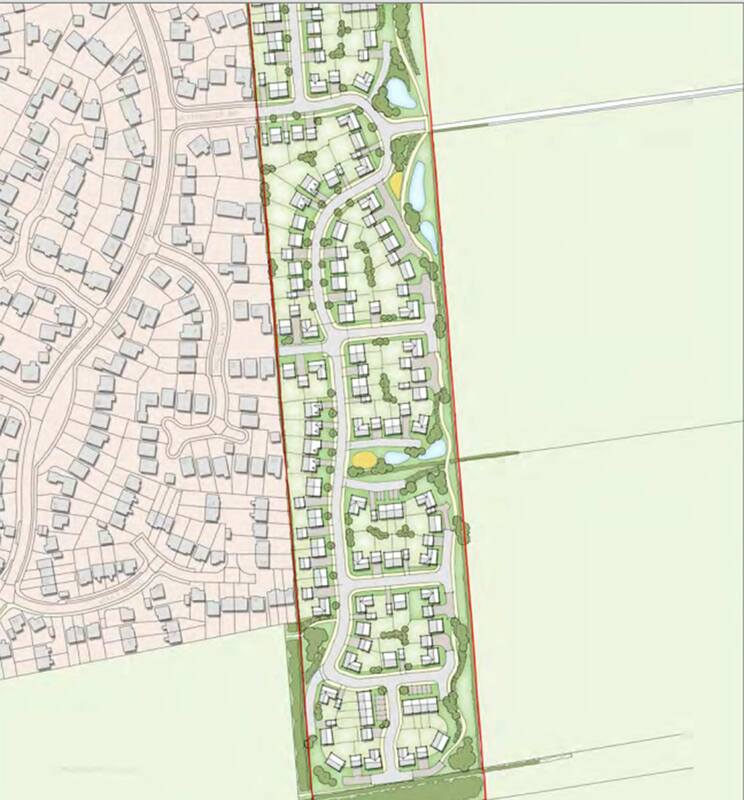 Applicants Linden Homes have submitted outline plans for the development east of Bracebridge Heath, with up to 25% of new homes to be classed as affordable housing. The site, off Canwick Avenue and Westminster Drive, lies next to an existing residential development to the west and a single property directly north. To the east and south of the land is open countryside with agricultural buildings set in the landscape. The developers have said that a quarter of the new homes will be affordable in accordance with the latest target identified by the Central Lincolnshire Planning authorities. They added that the properties will “reflect the accommodation needs of different people, families and ages,” and will include two, three, four and five bedroom houses. If the plans are approved, access roads would be constructed, with access to the estate coming off Westminster Drive. Car parking for residents would also be provided. Linden Homes have said that they are prepared to make financial contributions to new primary and secondary school places. The applicants added that if it can be demonstrated that extra resources are needed, they will contribute to health, transport, recreational facilities and libraries where appropriate. However, the application has received criticism from some residents living close to the proposed development. One said: “At a meeting with the developers we were told the plans would be sympathetic to existing properties along the boundary. Looking at the plans this does not seem the case to me. “It has a garden directly on the end of my garden with the back of the house looking directly into my house. The developers in the meeting said they would be on an angle and not directly behind. Residents can have their say on the proposal online on North Kesteven District Council’s website.